HaitiRozo: #ESSAY, Haiti and the UN’s Endless Peacekeeping Mission: Is UN a Curse for Haiti’s Democracy? Three presidential elections have been organized under the United Nations (UN) peacekeeping mission watch; all of them had been either marred with irregularities or massive frauds. In 2006, Haitian people had to gain the streets for several weeks to abort an electoral coup pre-engineered by United States-backed de facto government Gerard Latorture. In 2010, right after a 7.0 magnitude earthquake ravaged the country’s western part, Haiti’s then President Rene Preval was forced to abide by a U.S.-backed Organization of American States’ electoral commission result asking him to remove his handpicked candidate Jude Celestin to replace him with U.S.-preferred candidate, Michelle Joseph Martelly. In 2010, Haitians reject CEP’s contentious and tainted preliminary results for the presidential elections. Nearly two months since Haiti’s Conseil Electoral Provisoire (Electoral Provisional Council), know as the CEP, announced the final results for the first round presidential elections, second round legislative and local elections that plagued with massive frauds. 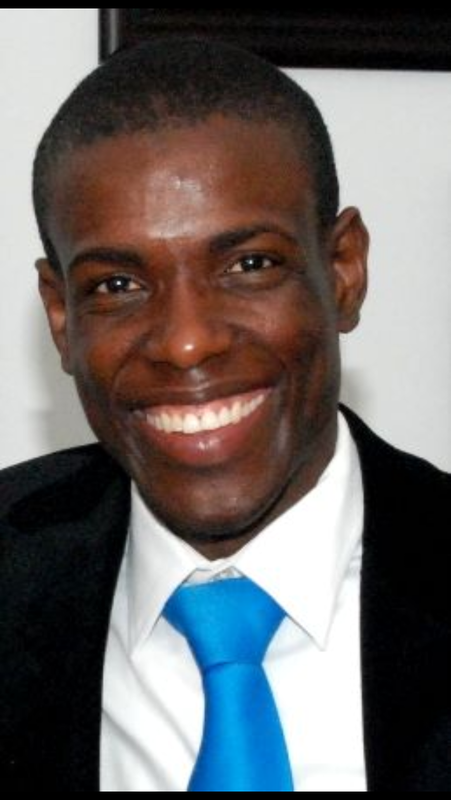 The controversial results for the presidential elections placed Haiti’s ruling Party candidate, Jovel Moïse at the first place with over 34 percent of the popular and the former 2010 presidential candidate Jude Celestin in second place. Since then protest against those tainted results have been widened throughout the country. The question one may ask is, is UN a curse for Haiti’s democracy? This paper will discuss the meaning of justice for Haitians who survived the 1991 and the 2004 coups. This paper will also point out why the first and the second UN missions in Haiti have failed to respond to the need for justice of the survivors of both coups. Finally, I will argue that the conflicting agenda or the interference of some powerful members in the International Community in the Haiti’s politics such as the United States, France and Canada may be one of the salient factors –besides the cultural and historical factors that may anticipate in the UN-OAS endless process of building peace and restoring justice in Haiti after ravaging by the recent two coups –and other previous political unrests. As it could be noticed that the name of Jean-Bertrand Aristide already appeared many times in the introduction, it will continue to appear as former statesman, and most importantly one of the survivors, perhaps the principle leading figure of both coups. To understand the division amongst Haitians regarding the first and the second United Nations Missions for Stabilization in Haiti, it is crucial to look at the history of Haiti and the circumstance in which the former slaves freed themselves from French rule. The first UN mission, the Mission Civil International in Haiti (International Civilian Mission in Haiti) or MICIVIH a United Nations and Organization of American Sates (UN-OAS) joint mission, started in 1993 during the military junta regime that ousted President Jean-Bertrand Aristide in the 1991 coup d’état. The UN-OAS joint mission ended in 1996. This mission supposedly was a successful mission, was coincided with the return of constitutional order by the reinstatement of President Jean-Bertrand Aristide to his office. It was also the first time Haiti experienced a democratic political transition, where Aristide handled the power to another democratic elected leader, his former Prime Minister, Réne Préval on 7 February 1996. The second UN mission, Mission des Nations Unies pour la Stabilisation en Haiti (United Stabilization Mission in Haiti), known as MINUSTAH, began in 2004 after President Aristide was ousted for a second time. The MINUSTAH mission may probably the most controversial UN mission among Haitians, particularly those from the poor class, who have unconditionally supported Aristide since he was first elected from the first Haiti’s democratic election on 16 December 16 1990. Unhappy with the most dubious and inhumane treatment, the slaves revolted against their master’s rules. Their goals were to escape their masters’ most illegal and harshest treatments and punishments, and to forever free themselves from their masters’ social and economic injustice, and racism. This struggle for freedom, equality and justice would remain an endless struggle, even after the slaves in a unusual alliance with the mulâtres (people whose one of their parents is either African descent or European descent) fought the French Army in the most bloodiest battle on 18 November 1803 to become independent, which they proclaimed on 1January 1804. Haiti became the world’s first Black Republic, and the first successful slave rebellion. Haiti’s former President Aristide wrote about Toussaint Louverture, an early leader of the slave uprising in Saint-Domingue (present day Haiti) and his political and economic vision. Aristide said, “The dream held by Toussaint was a two-side coin: on one side political freedom, on the other economic freedom” (Aristide, 2008: ix). However, the alliance between the former slaves and mixed-raced people did not last for a long time because the two groups could hardly figure out a mechanism to share the country’s resources. The marriage between former slaves and mixed-raced people was purely circumstantial. As Laurent Dubois (Dubois 2012:25) points out in his book, the demand of free people of color in the colony of Saint-Domingue was to be equal with whites. Dubois (Dubois 2012:25) wrote, “They didn’t attack the institution of slavery itself –after all, wealth in Saint-Domingue was rooted in slavery, and many of them were slaveholder themselves.” Slavery, which was itself an institution of injustice, was an ideal institution for the mixed-race people, and they wanted to keep it after the collapse of French rule in the colony. Thus the struggle for equal social, political and economic and religious rights would become a struggle for justice from the day Haiti became a nation to this day. From the slave rebellion to the popular movement, the social, economic and political struggle between the poor and rich in Haiti can be summarized in three words: the struggle for justice. Whether the struggle is for economic, social and political rights, it is all about justice. The reason for that is that the poor seem themselves as the victims of the social and economic inequality of the country. For them the lack of economic opportunity and social mobility come from the distribution of their country’s resources; where a minority, the wealthier, have held over 80 percent the country’s resources and the majority, the poorer, can barely survive with what was left for them. For the poor, this is injustice. Therefore, they want to move from a system that promotes injustice to a system that promotes justice. The question raised here is: what is justice? You can download the full essay here.